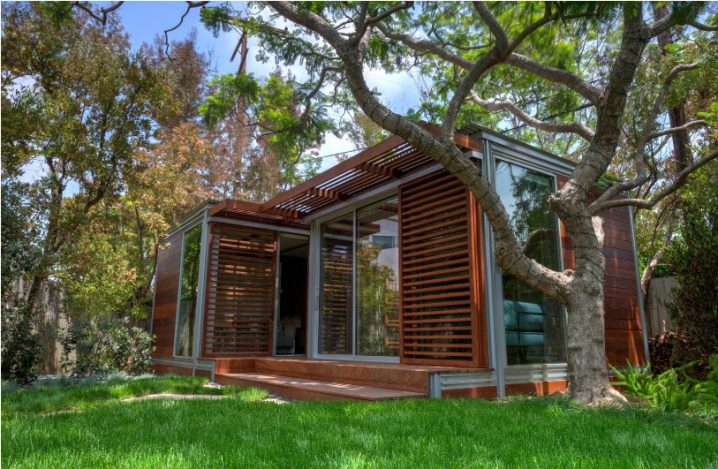 Being able to build your own home is now easier than ever! Kit homes are becoming widely available from a number of different companies that offer a huge variety of styles, floor plans, and sizes. 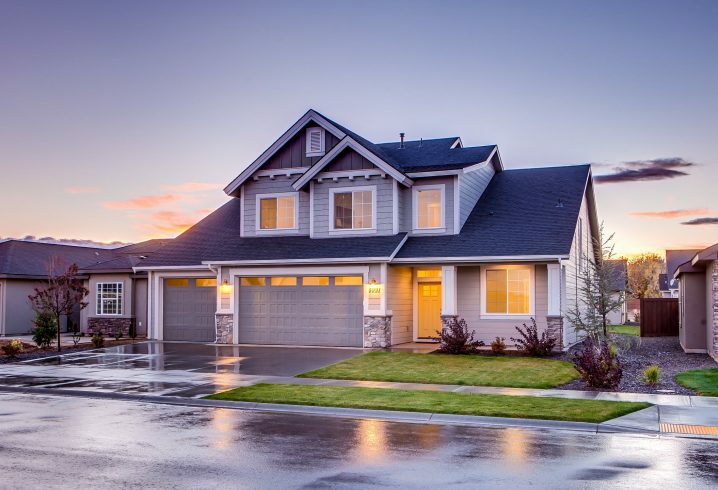 If you are interested in building your own home, but are worried that you do not have the skills to build the traditional way, a kit home may be the perfect option for you. We have compiled a list of 10 amazing kit home sites that are already producing beautiful homes for their customers. Maybe one of them will be a good fit for your needs. This is a great example of a stunning home that is customized to match the unique style of the homeowner and fit beautifully into the landscape. 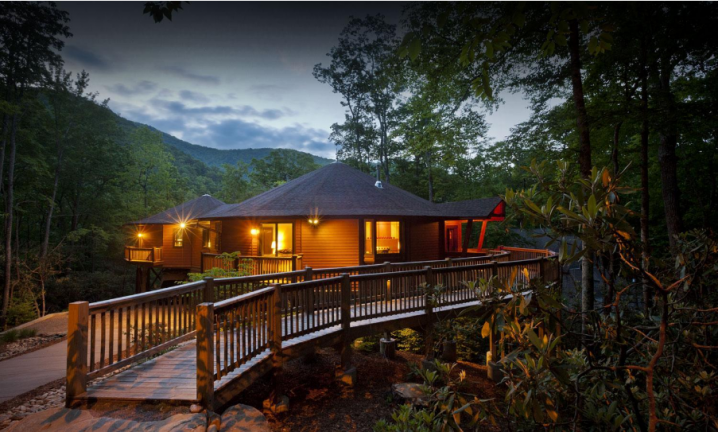 The round shape of this home makes it resistant to inclement weather as well as extremely energy efficient. You can always customize your home further with a few woodworking projects. This beautiful executive retreat cabin gives off a rustic yet timeless vibe. 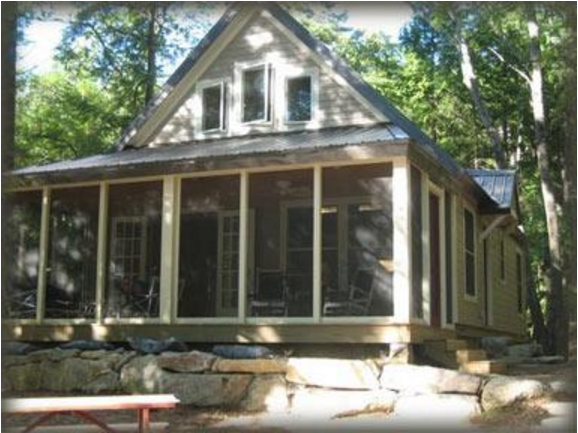 With picturesque windows, a surrounding porch, and stone fireplace, who would believe this cabin was a kit home? The interior matches the allure of the exterior by offering spacious rooms and a vaulted ceiling in the great room. A simple design with an exquisite porch makes this kit home a great option for someone interested in something a little more traditional. 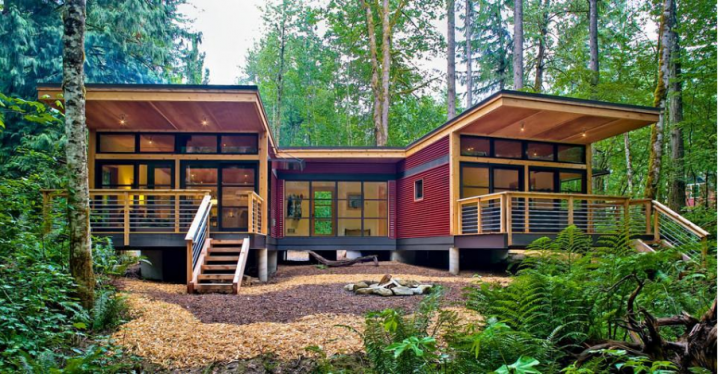 This home is made with energy efficient paneling and is designed to be built by even the most inexperienced craftsman. This dome home can withstand 225 mph winds and F4 tornadoes, resist fires, and save between 50-60% on heating and cooling costs. The practicality of this house makes it perfect for those who live in places where the climate makes living difficult. The amazing custom-built house in this picture was designed to fit the natural contours of the property’s landscape. 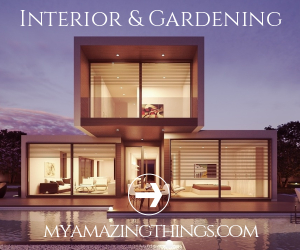 The walls of windows make it almost feel like you are living outdoors. 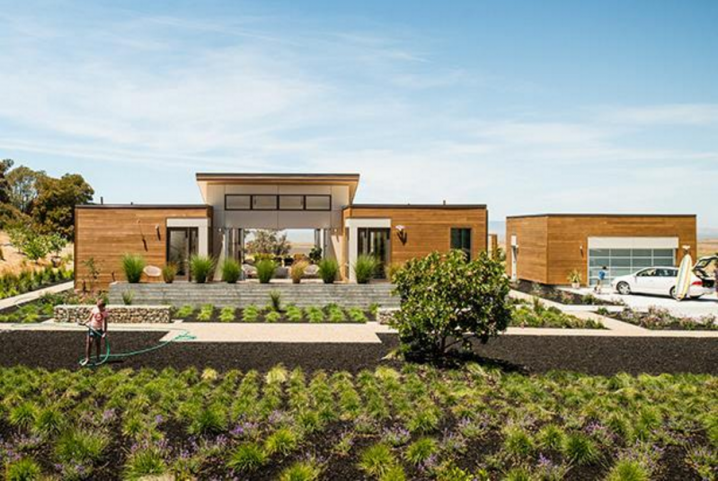 This kit home also works with LEED and other environmental certification for those interested in green living. This beautiful verandah adds so much to the overall feel and value of the home. An addition like this makes it a much more pleasant experience to be outside and enjoy time with the family. 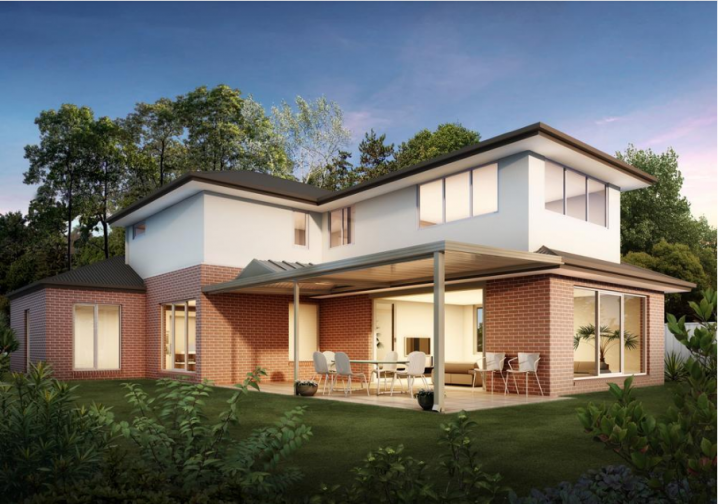 This home is another great example of a modern design that can be custom built to the homeowners preferred floor layout. The contemporary construction is worked around the signature glass-filled “Breezespace” that connects the spacious and open interiors with the natural loveliness of the outdoors. Picturesque and contemporary, this timber frame home sports beautiful wooden inlay, large windows, and spacious rooms with vaulted ceilings. 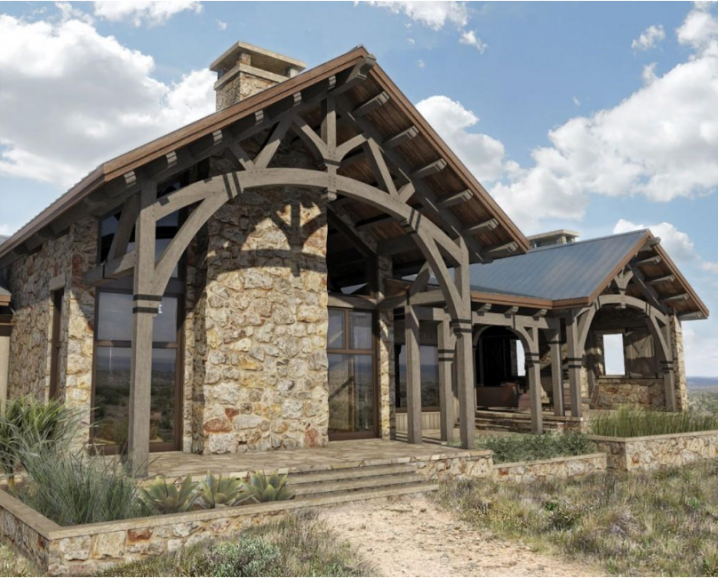 This elegant design seeks to combine the ancient timber frame structure with today’s technologically advanced manufacturing options to create a gorgeous home that will stand the test of time. This home, though smaller than many other kit homes, makes great use of space and feels bigger than it looks. The savvy, contemporary look with lots of windows makes this a gorgeous choice for those wanting a living space out in nature. The small, light-weight structure allows this home to be placed in terrain where it is impossible to build other houses. 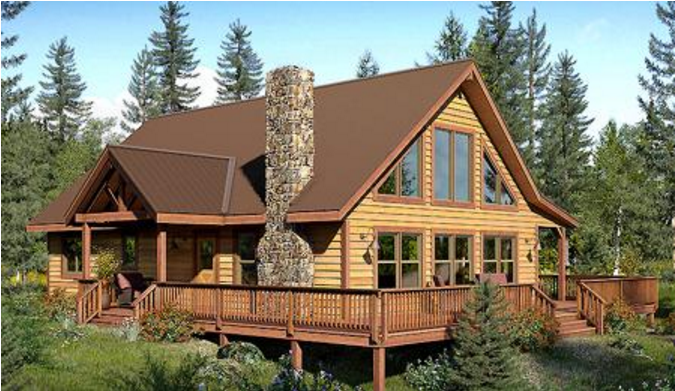 This horizon view cabin kit home was built superbly to work into the contours of the land. 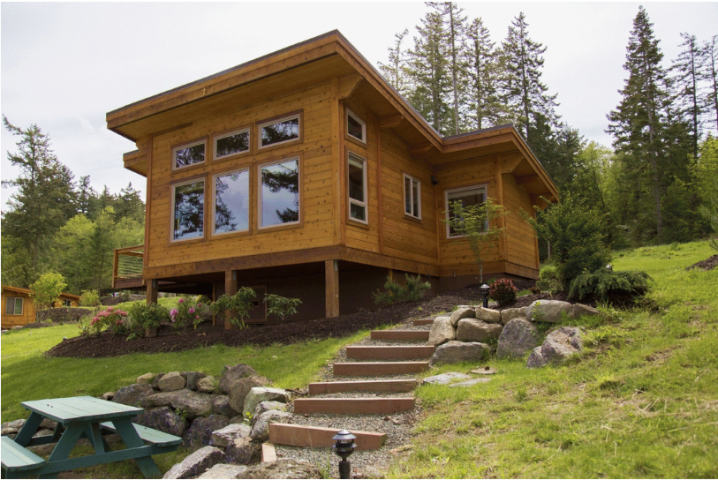 Cedar siding gives the home a charming rustic touch and the large windows overlooking the valley below allow the homeowners to truly enjoy the view.